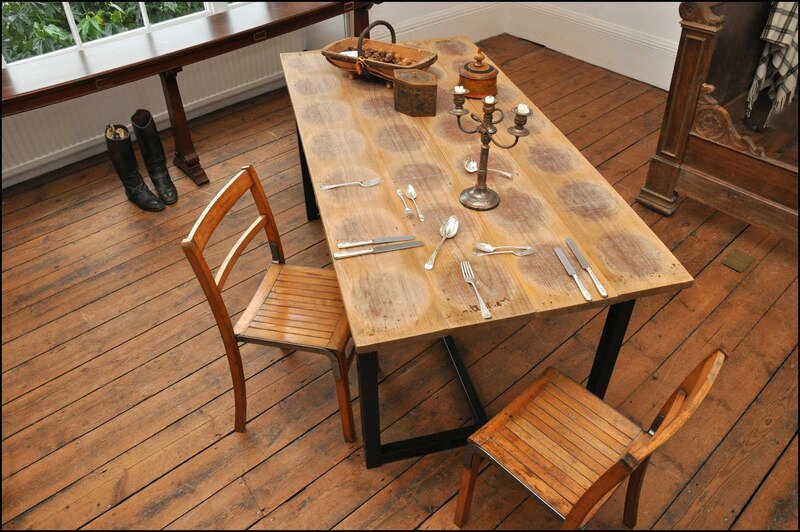 My friend Freddie makes dining tables and desks down in Somerset. He likes using found wooden objects like cheese boards and old parquet flooring for the table tops but his favourite part is working with steel, which he uses for the table legs. He loves soldering and is always messing about with rusty metal, coming up with low-tech assemblage sculptures like this Pelican Joanie piece.